We landed ourselves a perfect day for a race — cool start to the day, sun to warm things up, and a nice rain to soften the ground the night before. 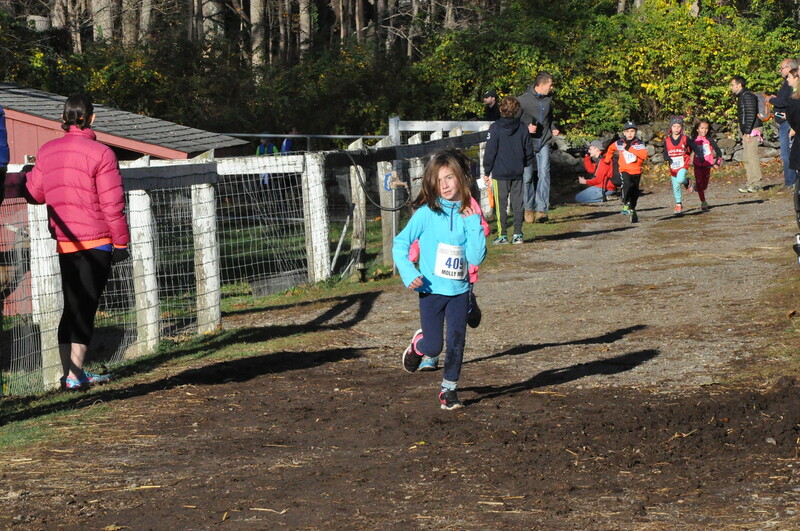 This year the farmyard had slightly slippery footing and some large early on-course puddles. It wasn’t too much of a surprise that none of the overall kids course records fell in 2016. However, a handful of the kids age group records tumbled. More details below. The overall 5 miler race records stood on Sunday as well. More details below on the 5 mile race. 670 runners crossed the finish line between the three races.The combined kids races had just over 280 finishers for the day. The chilly start to the day (39 degrees at 5:45am) may have kept same day registration lower than in the past Run The Farm events. But we had lots of committed toddlers through pre-teens filling up the corrals to start the races! We want to thank our gracious hosts at Muscoot Farm, especially Brenda, Jonathan, Brad, Joan, and everyone who helped out at the farm to get it ready for our SEVENTH(!) annual event. Where else can you see an authentic 1890s-era historical working farm just an hour outside of New York City? Muscoot one of the beauties of the Westchester County Parks system. We had a team of photographers (Ryan, Tom, Diane, Dave, Bram, Alan, Carol, Orion, John, Ciorsdan, and Rob) out there who volunteered their time for the morning! An outline with links to all of their photos is here. 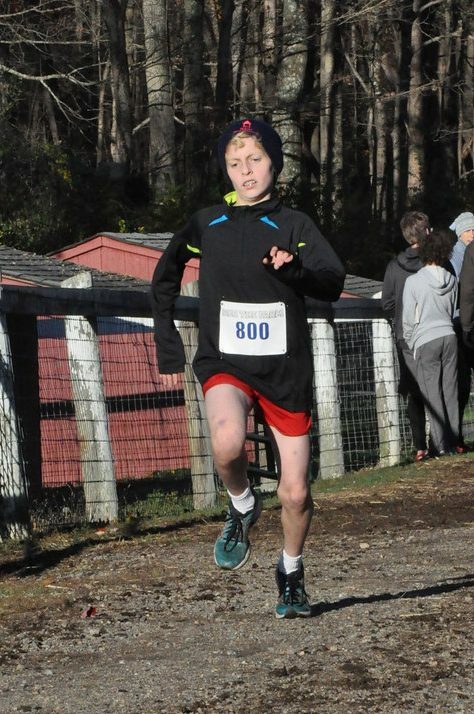 Nick Roosa cresting the last hill about 1/2 mile before finishing first in the seventh annual Run The Farm 5 miler. Nick Roosa (31:22) of Long Island City finished first by just over a thirty seconds before second place finisher Christopher Houser (31:55). It was the second Run The Farm win and personal record for Nick, who also won the race in 2014. Gerry Sullivan still has the overall course record, set in year 1 of Run The Farm (30:48). Nick came closest to beating it this year out of all of the other years. Charles Bennett (32:18), Luis Francisco (32:58), and Ted Towle (35:24) rounded out the top five male finishers. Mary Dolan Zengo of Wilton CT won the women’s division in 37:41. Lindsey Felling (38:45), Kay Naito (41:44), Lindsay Obrig (42:17), and Shivani Kochar (42:41) rounded out the top 5 women for this year. Full results for the 5 mile race are here. Morgan Eigel nearing the homestretch in the 1.1 mile race. Some great showings at the kids races on Sunday. The overall records held, but several age group records fell for the kids races. These records represent seven years of kids races so they are quite hard to break at this point. You never know who will come into their own next year. In fact, the 2010 winner of the inaugural race at Muscoot is now on the Fox Lane Varsity Cross Country Team which is a favorite to win Section 1 in early November. Morgan Eigel now has a three-peat® notching wins in 2014, 2015, and 2016 – and she’s 11! She set a new course record (7:08) last year and just missed breaking it this year (7:11) . We’ll say it again: Morgan bears watching in the cross country field. Will she make it 4 in a row in 2017? We can’t wait to see! Brett Waldman (7:09) won in a tight race sprinting to the finish just past Morgan – and 20+ seconds ahead of the next closest boy. 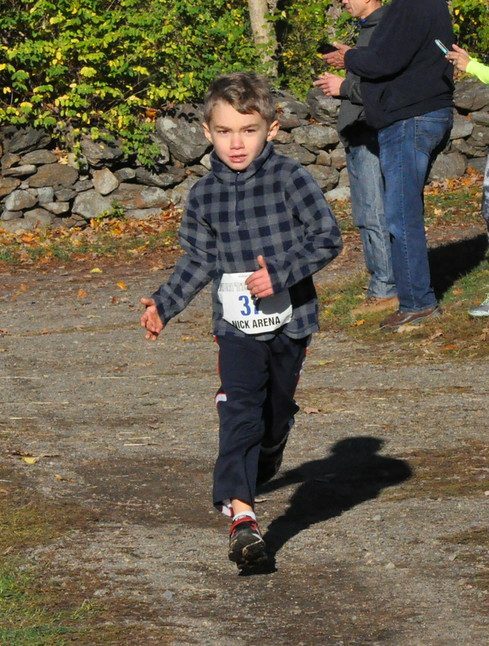 Nicholas Arena (5:09) won the overall boys 6 & under race. Molly Skolnick (5:43) won the overall girls 6& under race. Brooke Adams-Hopkins (8:04) took over the 3 year old girls record. Three year old boy Peter Bruschi (7:17) snagged his second age group record, cutting a massive 1:01 off of his time from last year. 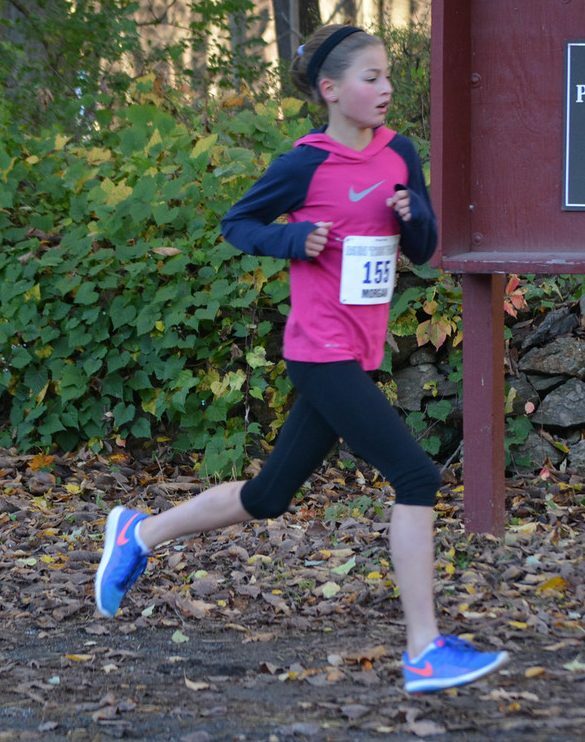 Morgan Eigel (7:11) took over the 11 year old girls record, narrowly missing improving on her 2015 course record. Anna Davis (7:33) knocked down the 12 year old girls record by about 12 seconds. John Lawrence and The Leathermen bluegrass band as post-race entertainment. 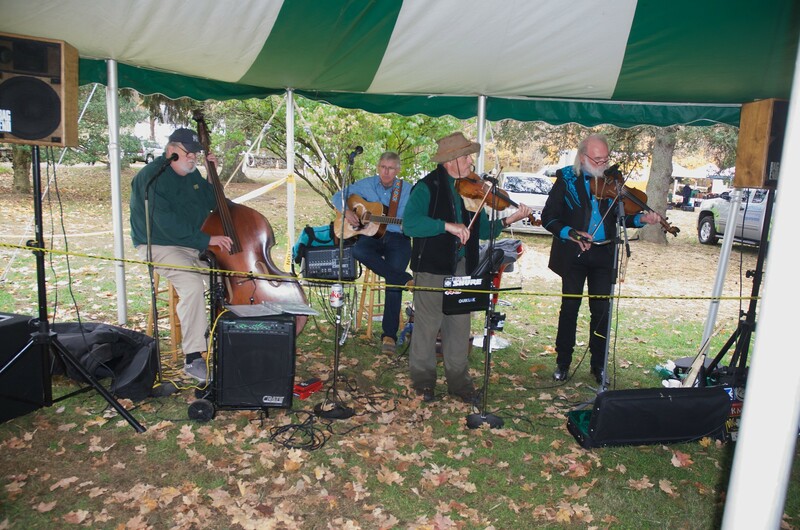 For post-race entertainment we welcomed John Lawrence and the Leathermen bluegrass band. John and the group are long time guests of both the Leatherman’s Loop and Run The Farm and provide foot-stomping music that makes the event even more special. 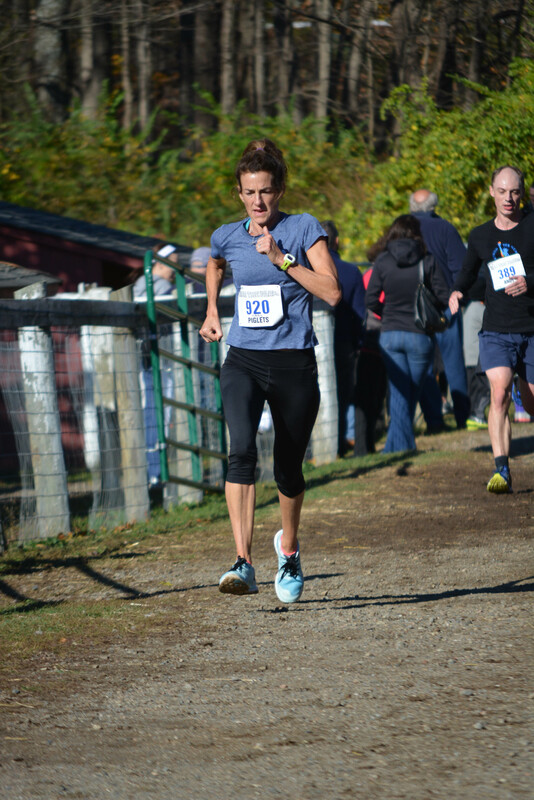 The 2016 Trail Mix Trail Series over 160 runners eligible to compete in the series continuing from Leatherman’s Loop (April), A Mild Sprain (May), Where The Pavement Ends (Sept) and the Sarah Bishop Bushwhack (Sept). Trail Mix Results to date can be found here (will be updated shortly with Run The Farm results once final results are certified). One thing we can tell you for sure about the Trail Mix: If Nick Roosa wins Raven Rocks Run, he will have swept the final races of the series. Could be a record finish — but anything can happen! 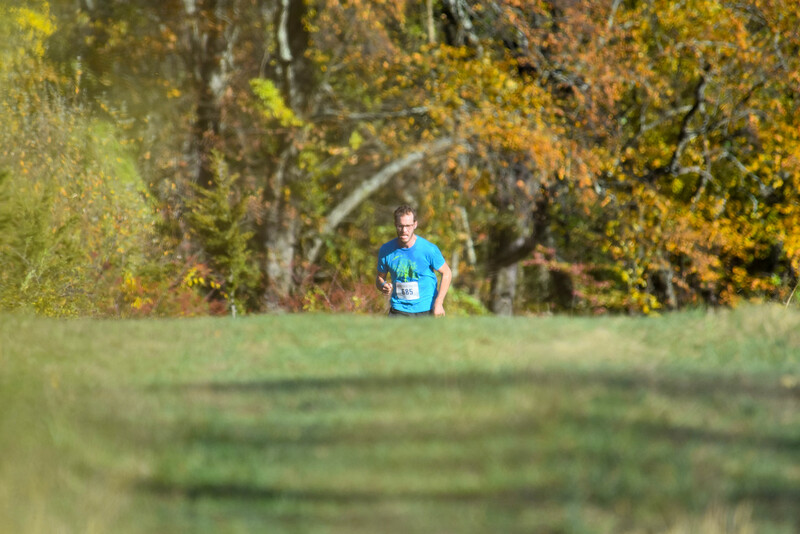 The FINAL race in the 2016 Trail Mix Series is the Raven Rocks Run on November 13th, 2016 at 9am at Ward Pound Ridge Reservation. The course starts and ends in the same spot as the Leatherman’s Loop, but heads into the high hills of the Rez. Sign up now for this challenging capstone for the 2016 Trail Mix Series. All Trail Mix runners who complete the Trail Mix Series will be selected automatically if they enter the Leatherman’s Loop Lottery in January. The Muscoot Farmer’s Market got into full swing an hour earlier than normal to accommodate our runners who were flush with running and farm bucks. When we redeemed the farm bucks for real $ at the end of the day the Run The Farm “Farm Bucks Top 5” Champs of 2016 were 1.) Dutch Desserts, 2.) Meredith’s Breads, 3.) Pickle Licious, 4. ), Hummingbird Ranch, and 5.) Do Re Me Farms. 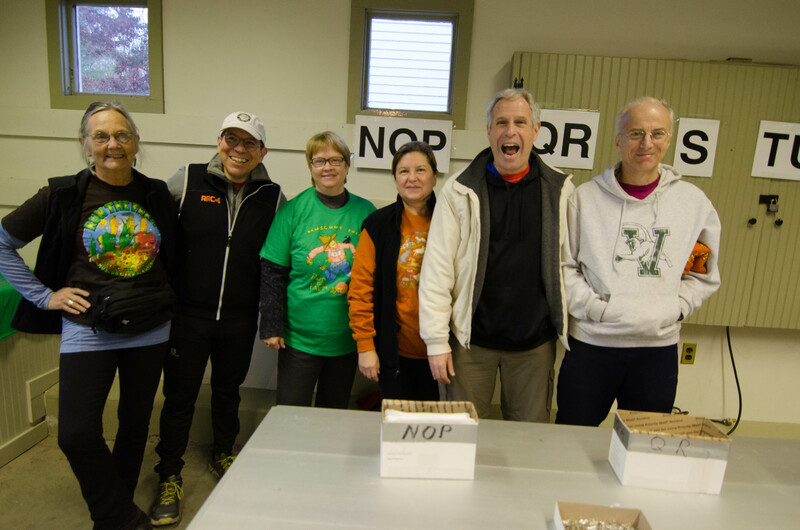 The vendors loved having the runners there — and loved the energy on Sunday! We are happy to let you know this was NOT the last farmer’s market of the 2016 season at Muscoot. The market will be open 4 more Sundays until the Sunday before Thanksgiving and they will be back at Muscoot in May 2017. Special thanks to the Westchester County Police and the Bedford Boy Scout Troop #129. An extra special thank you goes out to the Somers VFD EMS crew for coming out and supporting the race and runners. 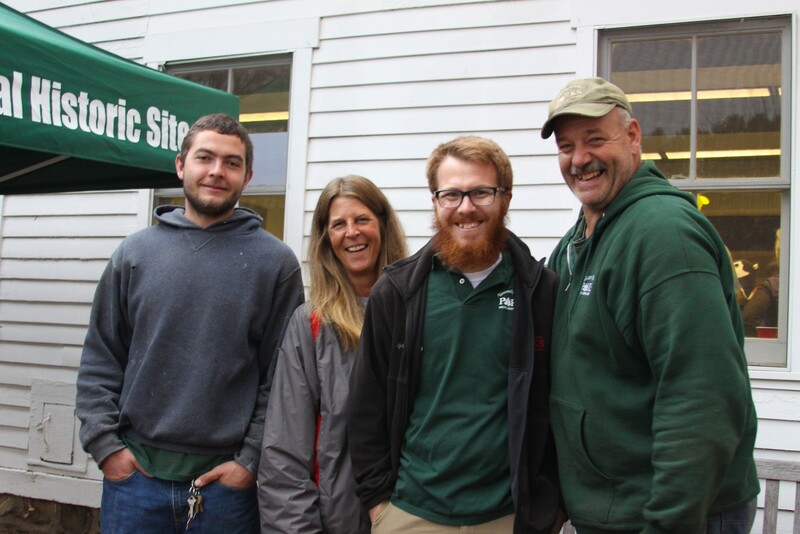 The Somers EMS crew has been with us since the start of Run The Farm and is always helping and assisting all comers. Sunday saw a few scrapes, bruises, and one runner in the early race who was hurt — we don’t know the extent of any injuries due to privacy concerns, but we are sending good healing vibes out to them! And finally — a huge thank you as always to the runners and families who came out to participate in this tradition. We are blessed to be able to celebrate such a great event with all of you. 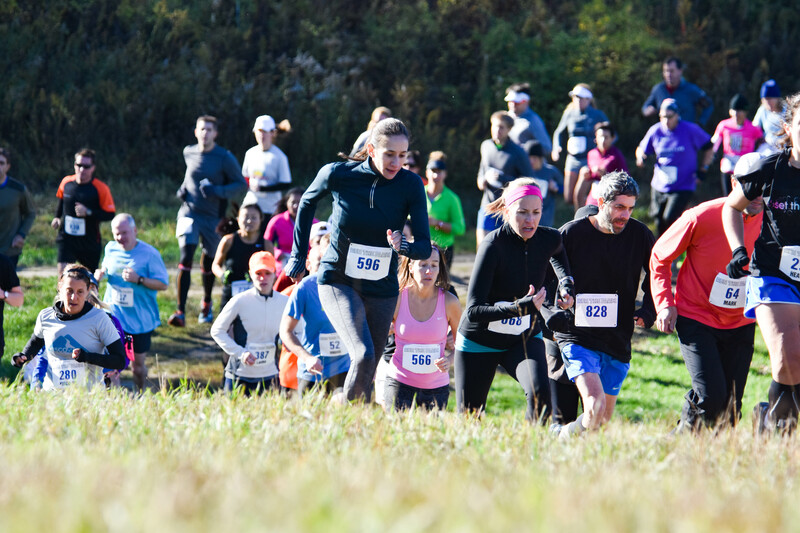 Next up: Raven Rocks Run on Sunday November 13th, 2016 – the 6th and final race in the Trail Mix Trail Series 2016!